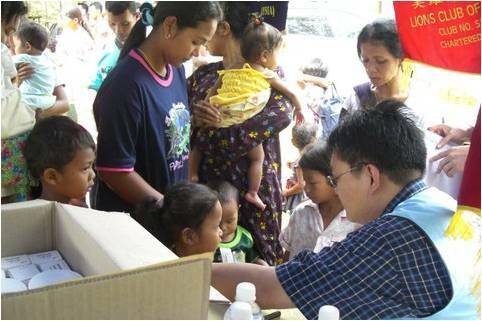 SINCE its inception, the organization has carried out numerous projects and activities mainly in the areas of welfare and health screenings services to the poor and needy rural people in the northern region of Malaysia . 1. VISITING (bi-annually) Orang Asli settlement and in Kuala Kangsar, Bidor, Kampar, Simpang Pulai, together with the Lions Clubs and Senior Citizens groups, to provide beverages, health screenings to their family members. 2. DISTRIBUTING FOOD parcels and lunch treats to children from various orphanages, together with sponsorship from beach hotels. 3. CONDUCTING FREE health screening such as Glucose Test, Cholesterol, Blood Pressure, Pap Smear and Breast Examination, etc. to public in several locations, especially in shopping malls, in the northern region, with Penang Family Health Development Association and Government Agencies. 1. HELPING poor Tibetan children and the elderly in humanitarian programmes …in the Dharmashala. India where HIS HOLINESS THE DALAI LAMA OF TIBET has its base. Discussion is still on going with the secretary to His Holiness,the Dalai Lama. We are looking into the possibility of establishing an eye clinic there . We are still waiting for firm response from the office. Once we have the firm commitment, we will liaise with ROSE for advise and further consultations. 2. 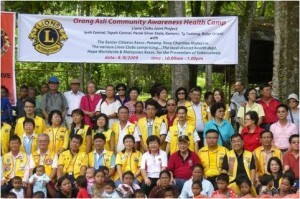 SETTING an eye clinic/mobile van project with the Lions Club of Kuching city, Sarawak, Malaysia. Funding for this proposed project will come from Lions Club International under the sight first worldwide programme. Mr Lawrence will be flying to Kuching to discuss details on the eye clinic/mobile van with lions officials. The mobile van will be used to ferry needy for cataract, eye treatment etc…. 3. Discussion is still on going with the Board of management of ST Nicholas school for the Blind on proposed setting up of an eye clinic to treat cataract and glaucoma operations free of charge for the needy. The school will provide an office space for the eye clinic and we will source for sponsorship in equipment etc. 4. We are still discussing with Kawan, a half way house set up a group of former peace corp volunteers currently based in Penang and some from the Christian missionaries from Thailand. To provide free meals to vagrants, beggars, etc…They are asking ROSE to help in running the centre housed in Penang’s heritage site of Georgetown .